Hey I wrote’m and your going to read’em and like’m! Dr Charlotte Whitton was the first female mayor of a major city in Canada, serving from 1951 to 1956 and again from 1960 to 1964. Among other things she is known for this little quip; “Whatever women must do, they must do twice as well as men to be thought half as good. Luckily, this is not difficult.” I feel like this saying well defines today’s notable biblical women, Esther. There are a lot of monarchs in the bible. Many are bad, some are good but none shine quite as brightly as Esther. Esther is hardly depicted as perfect but like most biblical hero’s she does her best to follow God in the midst of very difficult circumstances. There is no way I can do Esther’s story justice in just a paragraph or two. I really have to encourage you to read the whole thing here. It is a relatively easy read, and shouldn’t take more than an hour or so. Esther’s story has everything we want out of a great novel; love, loss, family, friends, drama and plot twists. Even if you have never once cracked open the bible this story will not disappoint. For those who didn’t read it allow me to very quickly sum up her story. Esther has found her way into the position of being Queen of Persia. At the same time a man named Haman has become prime minister. Haman in that role has enacted a plot to kill all of the Jews living in Persia. Esther has to choose between staying quiet and being safe or risk exposing herself as Jewish in the hopes of to saving her people. I have heard far to many sermons that more or less say, ‘If you do what God wants your life will be better.’ That statement is only sort of true. Ultimately yes I think your life will be better if you follow God’s will. But there is a rather large group of prophets, apostles, and martyrs that will testify that following God may not make your life easier or safer. Esther reminds us that we have to do the right thing no matter what the cost may be. 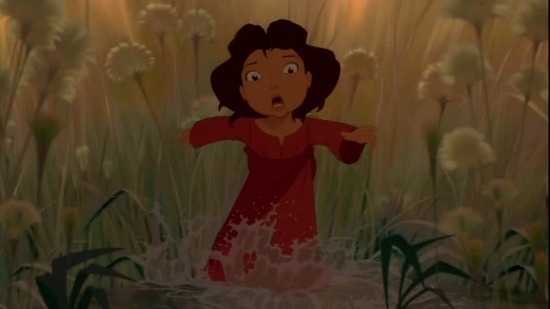 She had no idea what the outcome of her actions may be, but she knew what the right decision to make was. There will no doubt be times in our lives where we must try to do the right thing, even when it isn’t the easy thing. May we all have Esther’s courage. 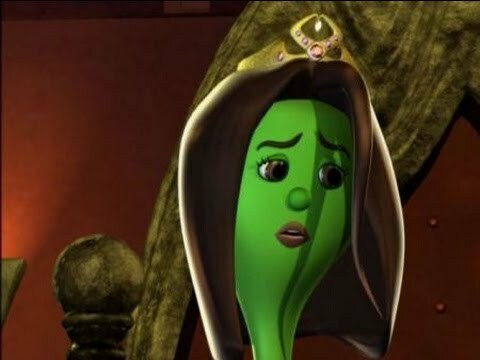 Thanks to Veggie Tales I now always picture Esther as a green onion. Scattered around the room are signs that a large group of people had recently been present. There are extra seats tossed about the room, and crumpled napkins sitting on coffee tables. A number of large plates are placed around the room. They still contain small amounts of the food that they used to hold in abundance; there are a few sandwiches, some baked goods and vegetables. A woman sticks her head out of the kitchen wiping her hands dry she says, ‘All of the dishes are done, I am going to get going. Let me know if you need anything.’ Her words are met with a thankful nod. She returns a weak smile, picks up her things and leaves. The room looks like a party had been here, but it wasn’t a party it was a wake. In the middle of the room seated together holding on to cups of partly drunken tea sit three women. The woman in the centre is the oldest, the women on either side of her are a fair amount younger. She could be their mother, but she is not. She is their mother-in-law. The wake was for her sons, their husbands. To make matters worse this wake follows one held years earlier which was for the older woman’s husband. It is in this space that we meet our next set of notable women; Naomi, Ruth and Orpah. After the funeral is over these women have to figure out what comes next for their lives. Naomi begins to pack a bag, she plans to go back to her home town. Ruth and Orpah follow suit. “Don’t force me to leave you; don’t make me go home. Where you go, I go; and where you live, I’ll live. Your people are my people, your God is my god; where you die, I’ll die, and that’s where I’ll be buried, so help me God—not even death itself is going to come between us!” When Naomi saw that Ruth had her heart set on going with her, she gave in. This is one of the most beautiful speeches in the bible. Naomi has resolved that her life will never improve beyond being a poor, childless widow. But Ruth would rather risk living as a destitute foreigner in a strange land then abandon her mother-in-law. If I were to take only one lesson away from this story I would say it is that we need to respond to people with sacrificial compassion. Ruth took a major gamble by staying with Naomi. There was no guarantee that life would improve for them. In all likelihood the two women would end up living on the fringes of society for the rest of their lives. But I think Ruth was willing to take that risk. Because she loved Naomi too deeply to abandon her, even if it meant her life would be more difficult because of it. This is the kind of love the Ruth demonstrated, this is the kind of love I hope beats in my heart. 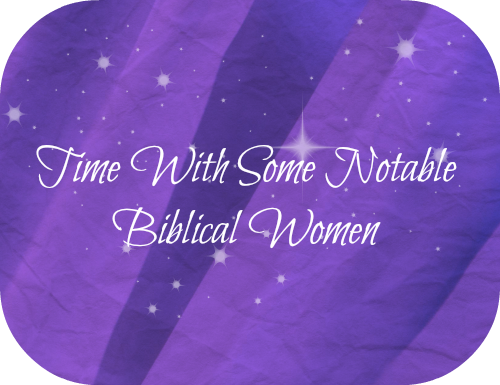 If I asked you to name some of the most important biblical women who would come to mind? Surely one if not all of the Mary’s in the New Testament. If you are familiar with the Old Testament you might think of Eve, Sarah, Deborah, Hannah, or Esther. Miriam was instrumental in Moses’ rescue by the Pharaoh’s daughter, and she is shown leading the Hebrew women in public worship after they crossed the Red Sea. By any standard that is a pretty impressive resume. We can learn a lot from Miriam’s life. But if I had to pick one word to sum her up I would pick; ‘outspoken’. This is not to say that every time she speaks she says the right thing. At one point Miriam and Aaron both become rather unhappy with Moses and his leadership. 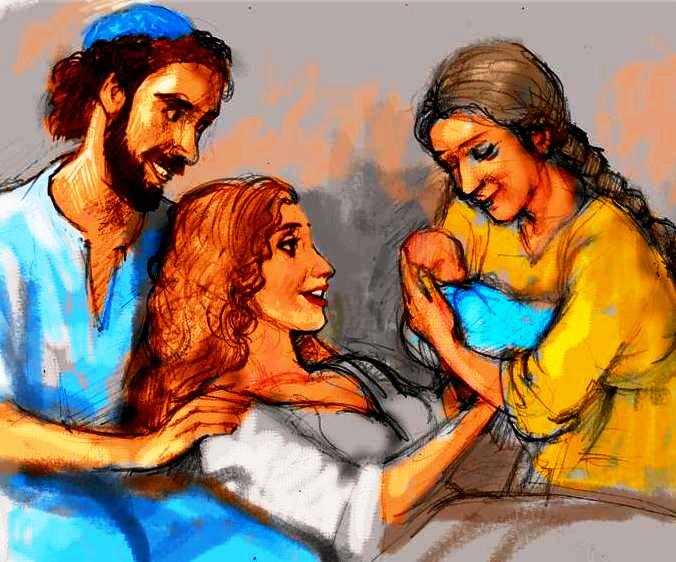 I think the story even alludes that Miriam and Aaron were considering removing Moses from his role as leader. However God is not pleased with this, and he shows up to scold Miriam and Aaron. Miriam gets the brunt of the discipline. Her skins turns sickly white and for a week she has to stay outside of the community. I think there are two types of people in the world. The ones who more often find themselves saying, ‘I wish I had said…’ and the ones who more often find themselves saying, ‘I wish I hadn’t said…’. I suspect Miriam is in the latter group, and so am I. As a person who more often regrets the things I say instead of the things leave unsaid I appreciate Miriam’s life and example. Miriam reminds us that somethings are worth speaking up for. In particular we need to speak up for the weak and the vulnerable. And she reminds us that we need to be cautious with the way we criticize, even when our concerns are justified. If you had the impression that all good biblical women were consistently obedient, mostly silent, and generally in the background I hope Miriam has started to change that perception. Miriam is a wonderfully outspoken leader in her community. The church needs ‘Miriam’s’ today as much as the Hebrews needed Miriam in her day. Don’t let anyone tell you otherwise.